The countdown for a series victory in England continues. If anything different from the previous tours, here team India could’ve made a couple of results go their way. Small goof ups, failing to capture the moment and more importantly not rising to the occasion cost them dearly. The unpreparedness of the players had a lot to with their failures. Moreover, it was also the mismanagement of strike bowlers Bumrah and Bhuvneshwar who suffered injuries right before the tour. The Southampton test for sure is going to sting India like a bee. Kohli’s relationship with the toss is equivalent to Michael Holding’s relationship with T20 cricket. Both just don’t get along with each other. Batting in the fourth innings was always going to be a difficult task. The moment Joe Root elected to bat first, there was already a similar premeditation in the Indian camp. England had gained a competitive advantage even before stepping out in the field of play. Jasprit Bumrah who began the proceedings managed to get the better out of Keaton Jennings in his second over. The likes of Joe Root and Jonny Bairstow didn’t last long as well. Cook after a 55 ball stay at the crease got out in the worst imaginable way. The Englishmen were left reeling at 36/4. The post-lunch period saw Mohammed Shami rising to the occasion. The right arm pacer got rid of Buttler and later Stokes as well. 86/6 after winning the toss and having elected to bat first. The Indian bowlers were commendable in their line and lengths. The hosts were making guest appearances at the crease. However, the habit of spilling momentum at crucial junctures came to haunt India again. In comes Sam Curran, the man who had already provided a couple of sleepless nights to the opposition. Moeen Ali, whose ghosts of 2014 still terrify the Indian batsmen. Together, they stitched a partnership of 81 runs. England ended up with a total of 246 runs on the board. As for India, both openers got out after starting well. That’s when skipper Virat Kohli and Cheteshwar Pujara combined for a splendor partnership of 92 runs. Sooner, Kohli’s untimely dismissal triggered a collapse in the Indian batting ranks. Sam Curran again stepped up, this time with the ball as he got the all-important wicket of the Indian skipper. However, it was Moeen Ali who did the damage. After accounting for Pant and Pandya off successive overs, he also had Shami and Ashwin back to the pavilion on consecutive balls. The Indian batting order had lost its way in the woods. From 142/2, the visitors were reduced to 195/8. However, Pujara’s sensational display with the bat saved the day for India. 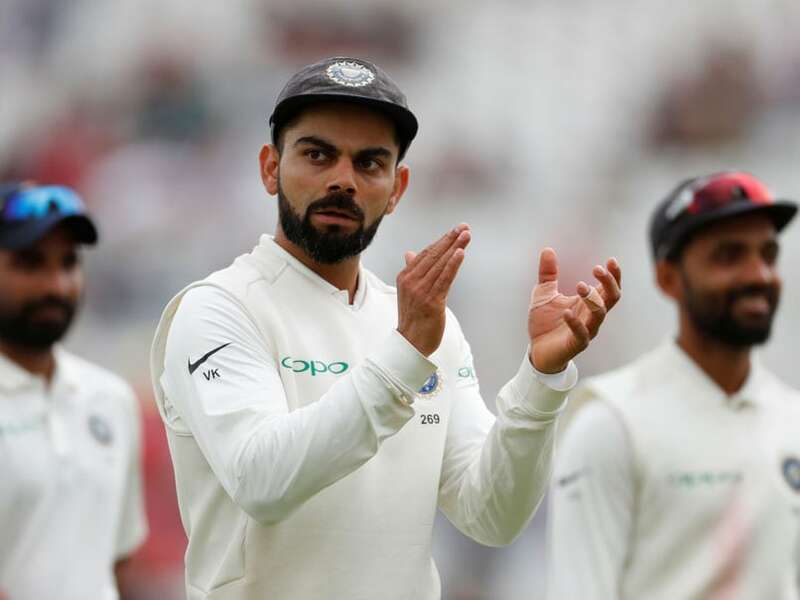 The right-handed batsman scored a fascinating century as he alongside some help from the tailenders took India to 273 all out. A lead of 27 runs was never going to be enough. England recovered to 93-2 after yet another poor start. Just when it seemed the Poms were running away with the game, Shami struck twice in consecutive balls to get Jennings and Bairstow. 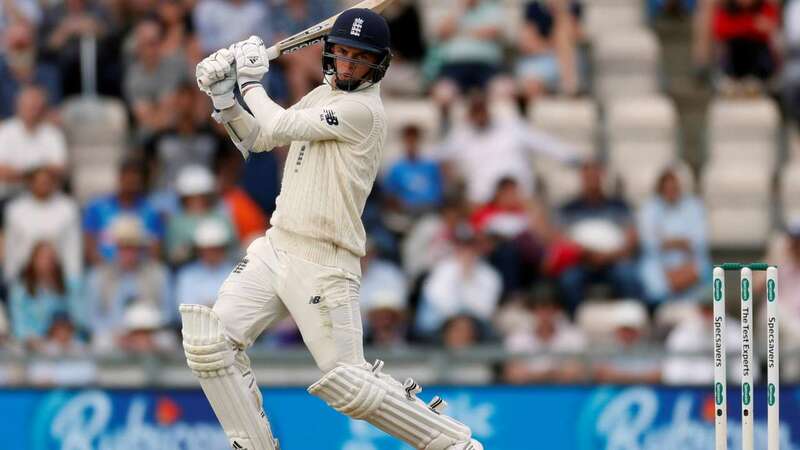 While Joe Root missed out on a fifty, Jos Buttler spent a considerable amount of time at the crease as the lead extended close to 200. Eventually, Curran took over at the end and ensured India had to chase a formidable total of 245 to level the series. On a pitch assisting spin, Ashwin was a huge disappointment picking just one wicket in 37 overs. For a while now, India have struggled to chase in the fourth innings. What followed at Southampton wasn’t anything different from Auckland, Adelaide or the quite recent instance at Edgbaston. Another innings where the Indian team raised hopes of a possible victory and then failed to cross the finishing line. KL Rahul continued his poor outing as he was bowled by Broad for a duck. Pujara and Dhawan followed as India were struggling at 22/3 within 9 overs. The last hope to make a game out of the chase, Virat Kohli walked in at the middle. He and Rahane batted really well and constructed a century stand between them for the fourth wicket. Just when it seemed India were closing onto the target, Kohli got out as Moeen Ali got the big man. Rishabh Pant tried to hit out but didn’t last long. Pandya was dismissed for a duck. From 123/3, India again lost way and ended up getting bundled for 184. Can India still finish this on a high? 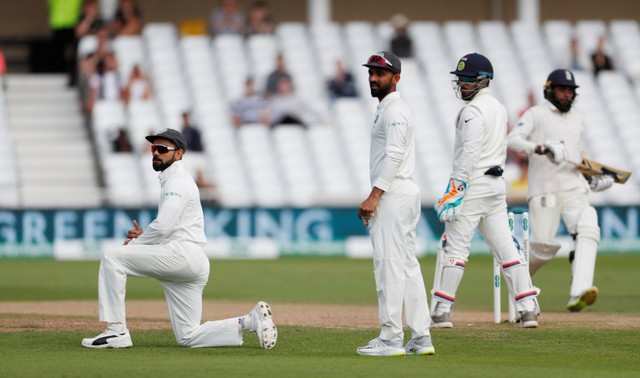 This was India’s third consecutive series loss in England. Moreover, they’ve won just one bilateral series against the Poms in the last five instances. The crowd at the Rose Bowl erupted in joy as they watched the Englishmen triumph over the No.1 ranked test team in the world. And no better man than Sam Curran to pin the final nail in the coffin. 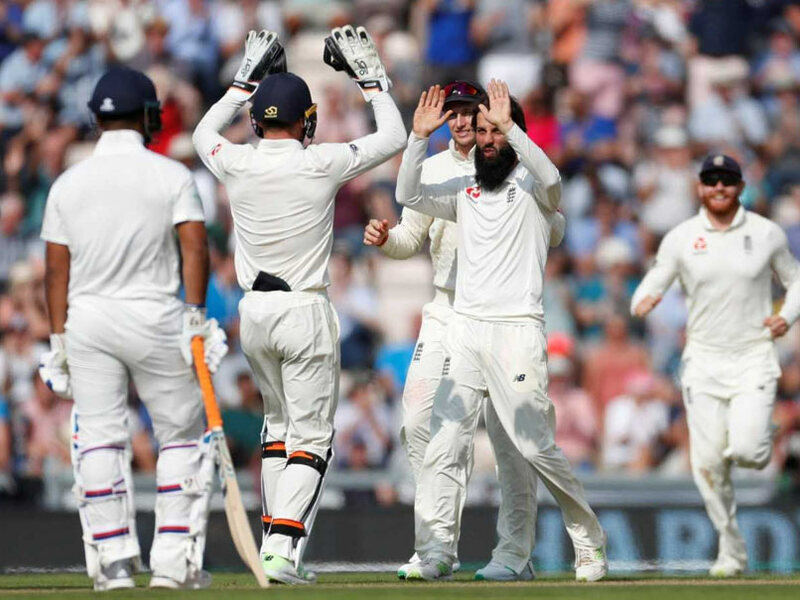 Comeback man Moeen Ali got nine wickets in the game and won the player of the match for his splendid effort. The Indian team arrived with a lot of hope in England owing to erase the ghosts of the previous tours. However now, they’ve yet another embarrassing overseas defeat to forget. With the last game scheduled to take place at the Oval, India would fancy their chances to make the series 3-2. The last time India won two tests in England was way back in 1986 when Kapil Dev’s men defeated them 2 nil. While the battle is lost, it would be a moral victory for Kohli’s men to finish the tour on a good note. What Does It Take To Be A Virat Kohli ?